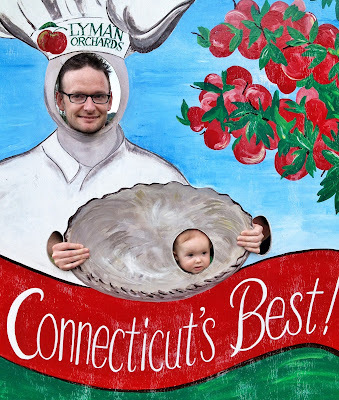 The weather in Connecticut this Labor Day weekend was perfect for outdoor activities. 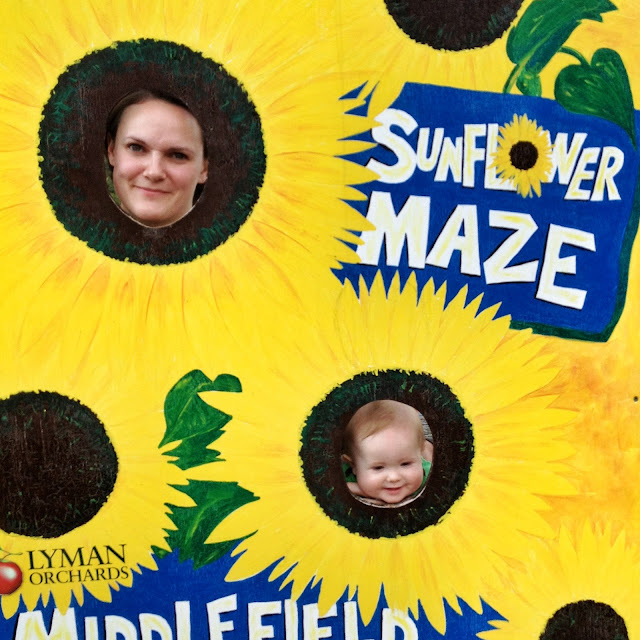 A visit to Lyman Orchards on Saturday resulted in a massive haul of fruit.There will be no shortage of peaches and pears for a while. 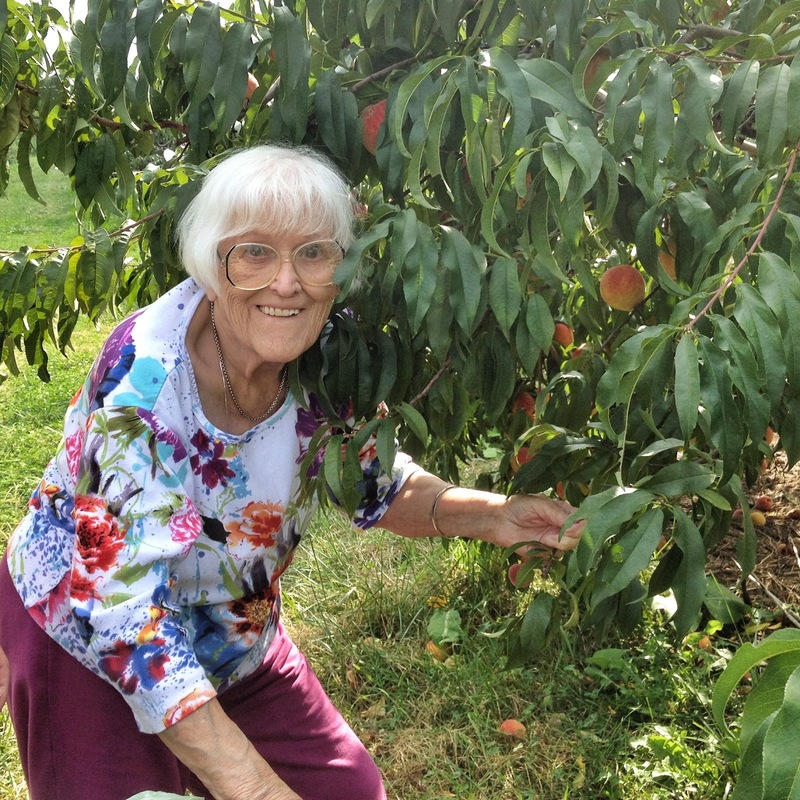 Rowan's Great Granny got right in there to pick the biggest peaches. 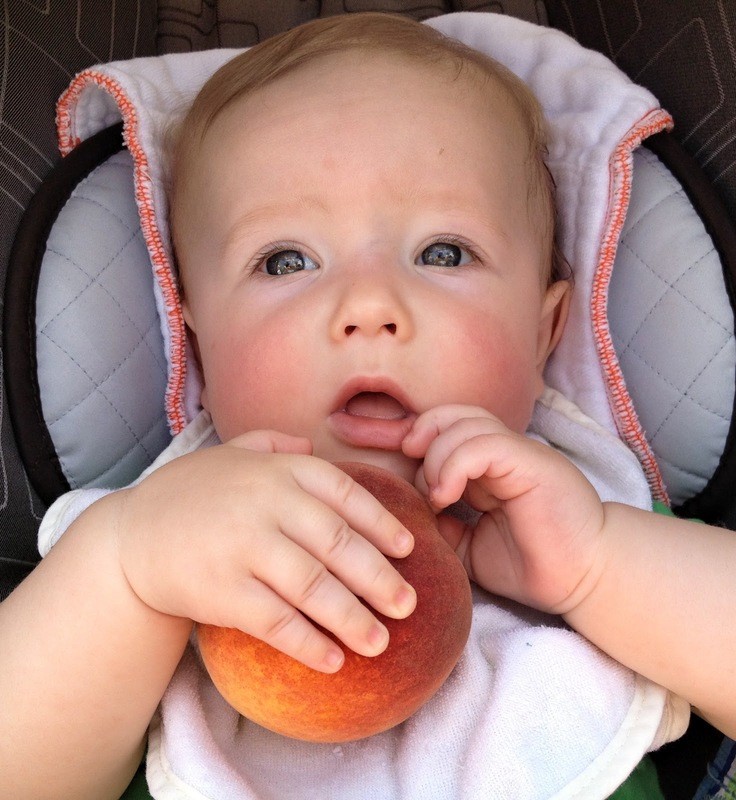 In similar fashion to Little Jack Horner, Rowan likes to stick his thumb into peaches. Rowan doesn't seem too impressed with being baked inside an apple pie. 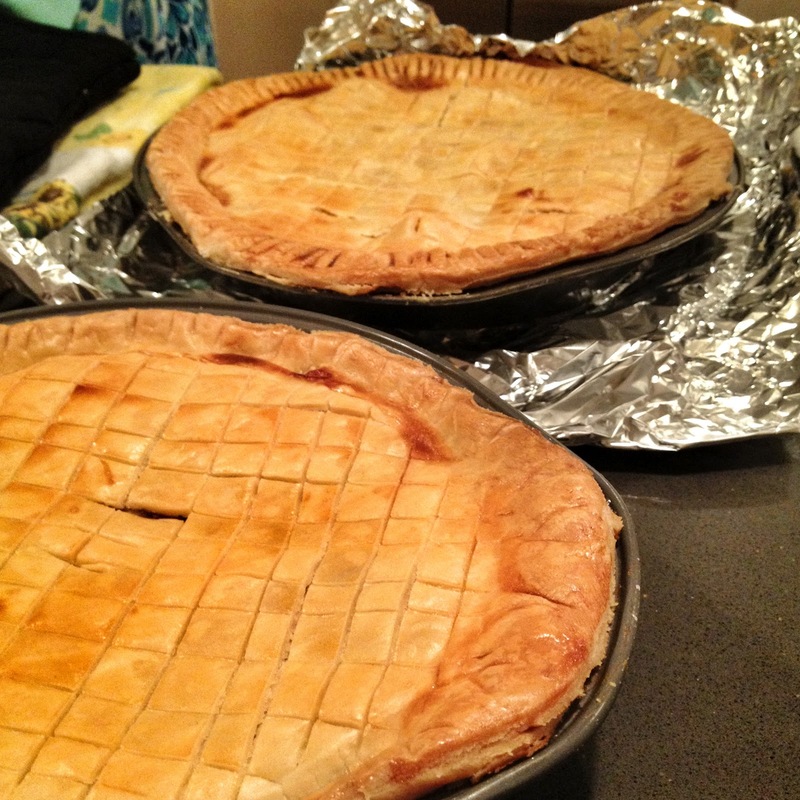 On Sunday, Jen's mum and Jen both baked some peach pies. They both look good straight out of the oven. It remains to be seen how the taste test goes tomorrow when they've had a chance to cool down. 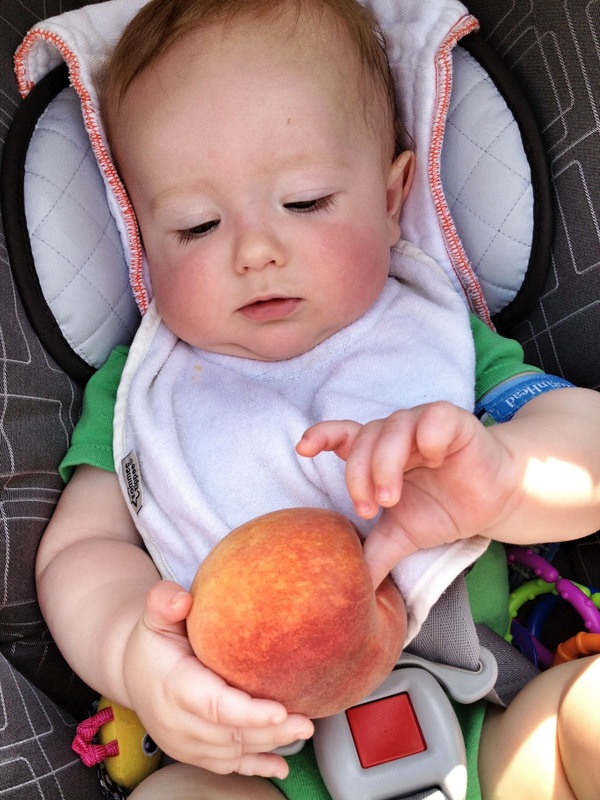 Rowan will need to decide which is best, since he is a connoisseur of all things peaches now. 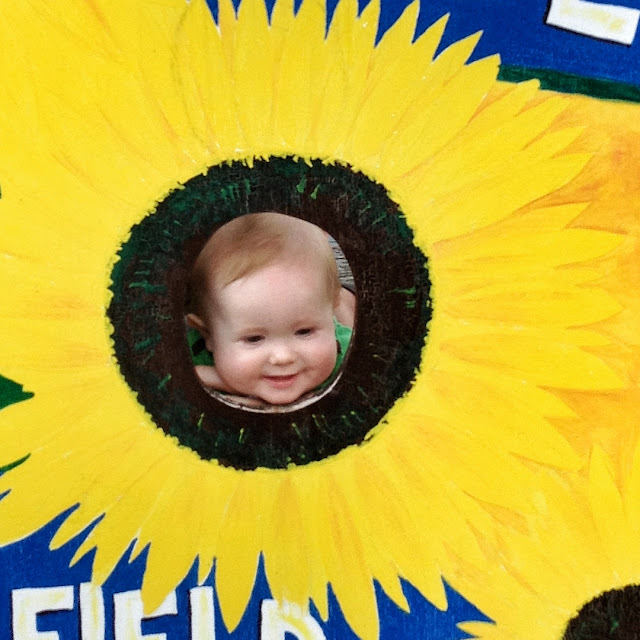 Lovely pictures of everyone. 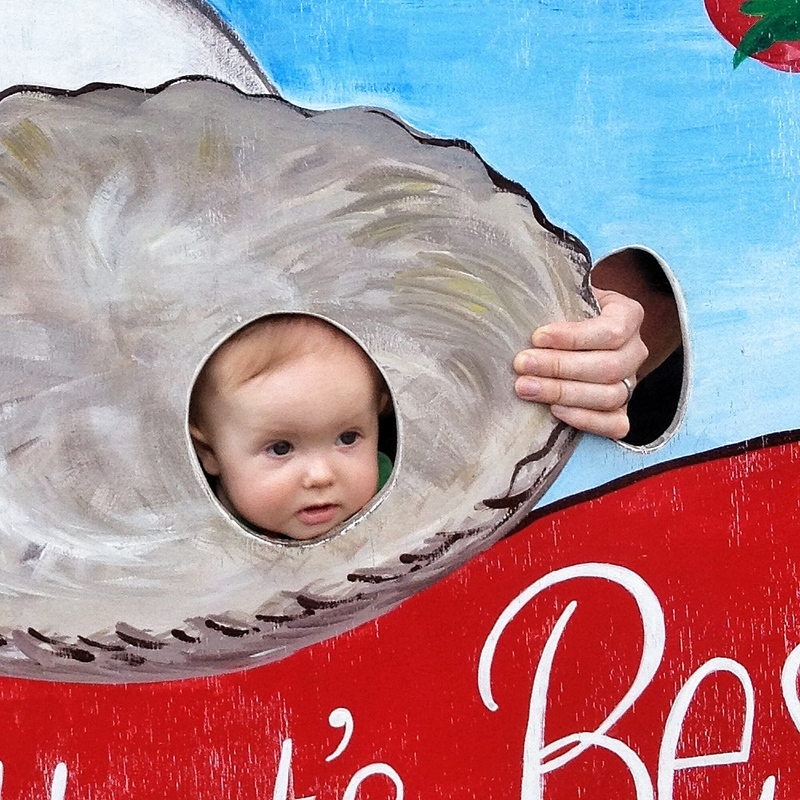 My mouth is watering at the thought of all that luscious fruit and pies. 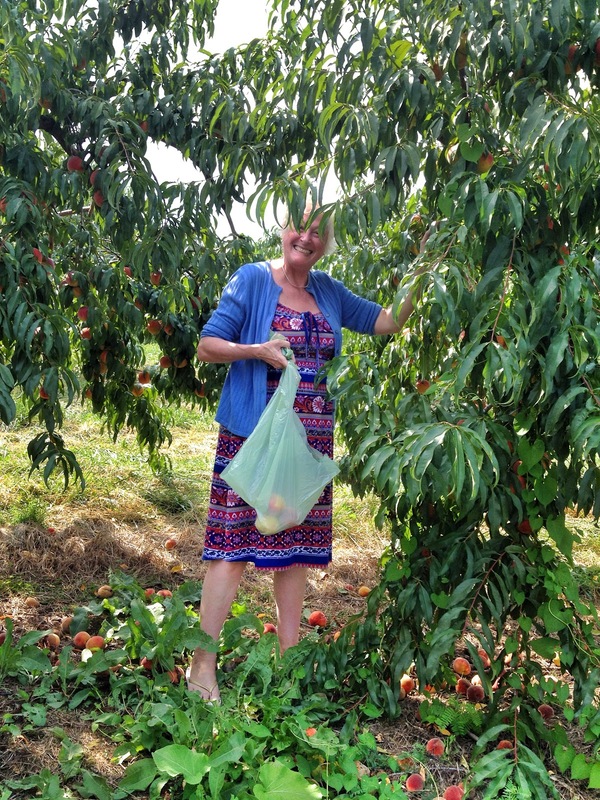 Glad we joined you this weekend for peach picking and not the weekend you did the Spartan Race-peach picking looks much more fun!! !